Professionally, Wilfred Ling is a Chartered Financial Consultant® (ChFC®) and a CFA Charterholder. Qualified – Passed a serious of examinations (consisting of cumulatively 21 hours), assessments and attended compulsory tutorials. Experienced – Have met specific experience consisting of at least 3 years of full-time relevant business experience in financial services and related industries. Ethical – Maintained ethical standards prescribed by The American College Code of Ethics consisting of The Professional Pledge & The Eight Canons. Knowledgeable – By earning re-certification every two years thereby ensuring informed on the latest developments in financial services. ChFC® holders are required to complete a minimum 30 hours of Continuing Professional Development (CPD) credits every 2 years. 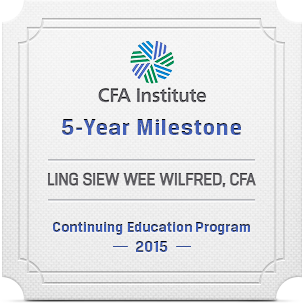 Wilfred Ling earned his CFA charter in 2011. See this link for more information on the CFA Charterholder designation: Why Choose a Charterholder? Prior to working in the financial service sector, he worked as a Research & Development (R&D) Engineer for 10 years. 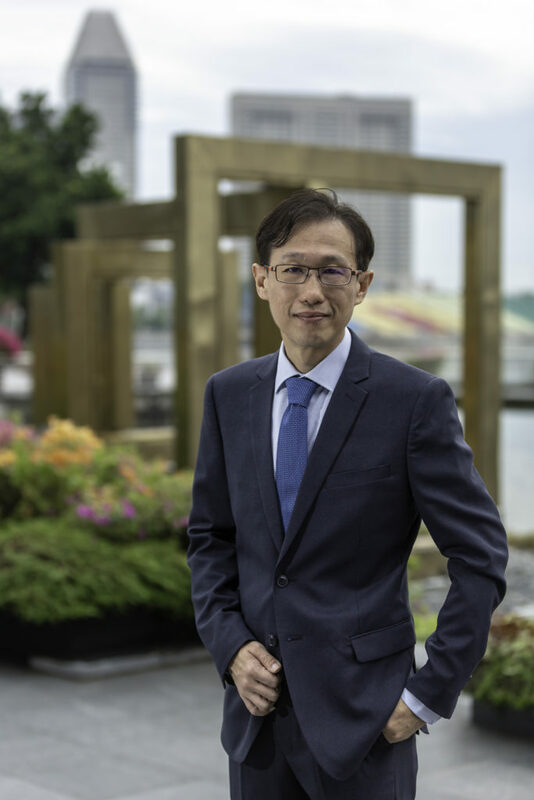 He graduated in 1996 with a Bachelor in Electrical Engineering in Second Upper Honors from the National University of Singapore. 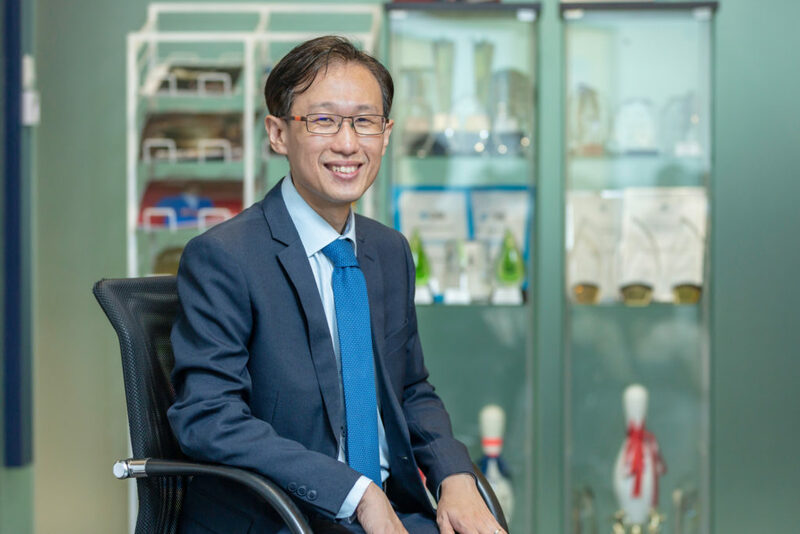 As a Chartered Financial Consultant®, CFA charterholder and having 13 years of experience, Wilfred Ling is qualified and experienced to provide a comprehensive financial planning service. I am fee-based. I am remunerated through fees paid by clients. This means greater objectivity and less conflict of interest. Only recommend simple products such as fixed deposits, ETFs, unit trusts etc. No structured notes and no 101 ILP unless the benefits outweigh its disadvantages. For insurance, able to assist and help clients to select appropriate company’s group insurance. Also, tend to recommend term insurance and disability income for needs that are temporarily in nature. The focus is on holistic planning rather than narrowly focus on insurance and investments. Other areas I focus on are: tax planning, credit management, retirement planning, children’s education and estate planning. I believe clients need to take some level of responsibility in their own financial well-being. I do not believe they should “outsource” all their planning. Therefore, I will insist clients to take charge some of their financial matters such as transacting on their own after I have made the various recommendations. The Retainer Service allows me to provide on-going advice to my clients on all matters of their financial well-being. I prefer to be transparent in the manner I deal with clients. Able to recommend a holistic estate plan and execute the plan. I avoid long lock-in regular premium investment strategy. I subscribe to the belief that it is important to be debt free as soon as possible. Thus, I would like clients to pay off their mortgage loan as soon as possible. I will only recommend regulated products. These products must either be regulated by the Monetary Authority of Singapore (MAS) or regulated in jurisdictions that have a greater regulatory standard than the MAS. I will not recommend unregulated products regardless of how “good” they are. I diversify clients’ assets and insurances with different companies because you never know which will be the next to fail. I prefer to work with a limited number of clients rather than finding new ones. This to ensure minimum quality of service for each client. I desire to work with clients on a long-term basis and remunerated through an on-going retainer service fee. Comprehensive Financial Planning means most of the above. Will I be charged fees the moment I speak to you? What is the difference between a preliminary meeting & consultation? All formal consultation is chargeable. Thus, any service rendered such as fact finding, recommendations and proposals regardless of medium (i.e. email, verbal, face-to-face, etc) and on-going servicing is chargeable. However, many potential clients want to discuss with me first before deciding whether to go ahead with the financial service. If you wish to speak to me to find out more about the service provided and as well as to find out about me in person, you will not be charged since this is not a consultation. For such phone discussion, you will not be charged. Do remember that in preliminary phone discussion, no financial advice is provided. No recommendation will be provided. I do not rebate commission due to three reasons: (1) the financial industry equate rebating of commissions with the act of inducement (2) prospects who ask for rebates are usually not genuine clients (3) my core competency is financial planning, not selling products. Although rebating commissions was made legal in 2002, many agents have since rebated commissions – not because they wanted to reduce the cost of insurance for their clients – but to meet sales targets in order to gain recognitions and incentives. By rebating commissions, customers are induced into signing up with insurance contracts that are almost always not suitable. This was made worst in 2010 when a licensed financial advisory made headlines for the wrong reason. The advisory firm was reported to have induced its customers to purchase an insurance product by rebating commissions that were large enough to fully offset the first year premium. On the 2nd year of the policy, huge number of these policies lapsed resulting in the insurer making huge losses. The insurer demanded $7 million of compensation from the financial advisory firm. Amid the dispute, the CEO of the insurer resigned for ‘personal reasons’. By the way, the product that the customers bought was one of the most expensive as compared to its competitors during that period. Although my recommendations are always impartial and objective, rebating commissions would tarnish my reputation as I would automatically be assumed to have induced my clients to purchase insurance policies. Empirical evidence has shown that consumers have higher tendency to purchase a good if there are discounts and cashbacks. Despite the fact that the decision to purchase is usually due to a few reasons, it cannot be denied that the discount is one of the factors influencing the purchase decision. If I would to rebate commissions, it is always a certainty that the rebate has some influence over the client’s purchasing decision. Such influence is known as inducement. Financial advisers who are guilty of inducement would be fine and even terminated as it contravenes Financial Advisers Act Chapter 110 section 27. That is to say that the act of rebating commission was made legal in 2002 but the act of inducement remains illegal. After many years in the industry, I have found that individuals who ask for rebates are usually not genuine clients. Usually they have already made up their minds of the kind of products they want to buy after getting quotations from their agents. Knowing that the projected financial planning fee is less than the commissions of these products, they would just ‘go through the motion’ in engaging the fee-based planner for a comprehensive financial plan. At the end of the planning session, these clients would insist in buying certain products even though it is not recommended by the fee-based planner. Using this method, these clients would get a net cashback since the rebate of the commission is larger than the financial planning fee. I do not wish to waste time on such clients that are short sighted. I am always looking for long-term clients. If your primary goal is to purchase a product, you should not engage me. This is because my core competency is financial planning and investment management. Financial planning and product purchase is not the same thing. In fact, most of the time, financial planning results in no product purchase. Majority of the work I do for clients focuses on planning, advice and on-going investment management. The analogy is that a doctor’s main focus is diagnosis and to provide a treatment plan. Selling medicine is never the primary aim. My case is a simple case, can you waive the financial planning fee? Almost every clients we met claim that their case is a “simple” case although it is often far from simple. All clients pay according to the level of complexity of their case. A simple case will be cheaper than a complex case. This is fair to the client. We insist in being honest with the client – we need to earn a living. You should only deal with those who are honest with you. Processing claims for death, disability, critical illness and hospitalisation. Existing clients who previously did insurance planning through me will also not be charge if they wish to review or purchase new insurance policies unless their financial situation has changed so significantly that a comprehensive review is required. Existing clients who wish to seek investment advice will not be charged if they are on the Retainer Service. Those who did will planning through me will also not be charge if they wish to amend their wills unless their family situation has changed so significantly that a comprehensive estate plan is required. In anycase, the legal fees for writing wills/trusts are still chargeable by the respective will writers and trust companies. Why do you insist to meet clients in office during office hours? Firstly, the question assumes that it is “normal” for financial advisers to meet clients at any venue, day and time. This assumption is based on observations that most financial advisers meet at any time, venue and day to meet their clients. However, the underlying reason is because most financial advisers treat their occupation as a sales job, while clients treat the financial advisers just as another door salesperson. Second, it is more professional to do financial planning in an appropriate environment which has privacy and comfort. Third, it has to do with time management. Advisers who work during odd hours do not have any work-life balance as they are not likely to have any personal time with their own family members during outside office hours. Advisers that do not have work-life balance are not likely to stay in the industry for long. It is not to your interest if that is happening to your adviser. Fourth, our office is fully equipped and all information is available. It is unproductive to have multiple appointments just because certain information is not on hand. Fifth but most importantly, in financial planning it is important for clients to allocate some of their time to do some planning as I do not believe clients should outsource all their financial matters to others. If an individual is not willing take a half day leave out of the available 14 or 21 annual days leave entitlement to ensuring their finances are sorted out, it also mean that I will have difficulty getting hold of clients to review their finances and update them on an on-going basis. Thus, I insist that all my clients must be willing to set a side a small amount of their own time to their own finances. This is for their good – I want all my clients to take personal responsibility for their own well being. The first step in achieving financial freedom is to take personal responsibility. How are you regulated (what are the relevant regulation)? For investment products such as unit trusts and life insurance, advice is regulated under the Financial Advisers Act. For comprehensive financial planning, I am required to adhere to the Code of Ethics consisting of The Professional Pledge & The Eight Canons. Legally, clients’ interests are protected under Contract Law and Law of Tort. How to pay a lower financial planning fee? From my experience, I found most of my clients are paying higher fee than they should. As I charged based on the time spent, I found myself spending a large proportion of work on organising the client’s data. Clients engaged me to analyse and provide advice to them on how to achieve their financial goals. Clients do not engage me to help them do filing and organising their financial data which is merely a clerical job. Sometime, I could spend up to an additional 10 hours of unproductive work organising and figuring out the missing data even before analysis. This translates to thousands of dollars of unnecessary cost to the client. Moreover, I do not find such a “clerical” work enjoyable as I prefer to do what I like best which is to help my client achieve their financial goals. Obtain and submit to me the latest post-sales benefit illustrations of existing life insurances. Common mistake is to submit to me the bonus statements which only provide partial information. The post-sales benefit illustrations would have included previously declared bonuses and thus are more useful. For Investment-linked policies (ILPs), remember to submit to me the latest market values and fund allocation statements. Do not make duplicate copies of insurance policies. I only need the original copies. If duplicate copies are made, this will generate large amount of papers which I have to figure out what are the duplicates. This will increase the amount of time spent in unproductive work which is ultimately born by the client. If you are working as uniform personnel, I would like to see all your Personal Accident insurances including those which are group plans. Submitting to me related documents (such as nominations, GIRO and all correspondences) on life insurance policies that were already matured or terminated. Submitting to me old investment statements that are irrelevant because these products were already sold or completely worthless. Do not submit to me financial institution’s direct marketing mailers. Unless these marketing mailers help to clarify the purpose of the product that was already bought, these advertising mailers are not useful to me. You should not be paying me to read junk mails! Use the spreadsheet template provided to supply me with the required financial details such as assets, liabilities, income and expenses. Do not use your own template as I will have to transfer the information to mine. As this can cause transfer errors, I would have to spent time double checking for these errors which translate to higher cost to the client. “Rounding” these figures to the nearest whole numbers. Rounding to the nearest whole numbers increases the errors in the cash flow statements and networth. These errors are amplified if compounded over many decades in my calculation for retirement planning. For example, if the latest CPF-OA balance is $142,123 but the figure entered into the Excel sheet is “$150K”, an error of 5.54% is being introduced. If similar errors were introduced in other accounts, the cumulative errors can be significantly large. Sometime due to laziness, the client entered an estimated figure into the Excel sheet eventhough the exact figure can be determined. Use the latest statement from the financial institution as the basis. I need to see the mortgage agreement (if any). The information I look for are: the borrowers and whether are they borrowing jointly and severally, identity of the guarantors, tenors and the initial loan amount. The latest installment amount should be obtained from the bank’s latest statement. Although very rare, the loan agreement could actually NOT specify the loan amount and the tenor. This may happen for refinancing. Ensure a written document is obtained from the bank specify exactly what is the loan and tenor of the existing loan. For Income tax return, a common mistake is to submit to me the income tax acknowledgement for internet filing. I am looking for the latest Income Tax Notice of Assessment (NOA). A softcopy can be obtained from IRAS using SingPass. CPF Nominations. Regardless of whether you think you had done a CPF Nomination or otherwise, I would require evidence of such. Login to CPF website and use SingPass to obtain such CPF Nomination. Common complain is that the CPF Nomination information cannot be printed from the website. You can do a screen capture and print out the capture instead. You should also submit to me the terms and conditions of your life-long benefits. You can obtain such documents from your Human Resource department. For individuals who enjoy defined contribution or defined benefit scheme from their employers, submit to me the evidence of such and the latest statements. If you own a property jointly with another person, submit to me evidence of such and whether it is joint-tenancy or tenancy-in-common. For HDB flat, you can login to HDB website using your SingPass to get such information. For business owners, it is likely your largest asset is your business. Try to obtain a formal valuation of your business. Finally, it is common that the desire to engage me for professional financial planning is being initiated by one of the spouse. The other spouse has no interest in the entire exercise. I encountered a case in which the unwilling spouse slept in front of me due to disinterest and causing much embarrassment to the other. It will do well to have both persons being willing parties so as to have an effective financial planning exercise. The kind of information that I look for is part and parcel of fact finding. While it appears to be troublesome to some, having obtain all the information and documents are important not just for me but for you. This exercise improves your financial security and provides you with greater assurances of knowing exactly what you have and what you do not have. I do not impose any minimum investment amount. However, I do expect the clients to invest the appropriate amount in view of their investment goals. For instance, if the retirement goal is to accumulate $2 million by age 60 and the client is currently 40 years old. A lump sum investment of $10,000 (with no future contribution) is too small of an investment. I will reject such a case. On the other hand, a lump sum $10,000 with a monthly investment of $4,240 is considered an appropriate investment plan because in 20 years’ time the portfolio would have grown to $2 million assuming 6% per annum. Do I need to be financially literate before I consult you? Time value for money. Advanced time value for money is used throughout the financial plan. Differences between the different asset classes namely: cash, cash-equivalent, property, fixed income and equity. Why do you insist on full fact find for financial planning? The first step in financial planning is when the client provides me with the full facts. If a client has significant difficulty in providing the required financial information, it usually means that the client’s financial situation is in a dire situation. This implies that the client has never tracked his own expenses, income and the kind of assets he has. Without knowing the financial situation of the client, I will not be able to analyse and make any form of recommendations. To make it worse, the client will not be able to help himself because he is totally unaware of his own financial situation. Without knowing the existing financial situation, it is not possible to determine the financial goals. Without a financial goal, the client will never be able to retire, ensure sufficient insurance for medical needs, have a family or even buy a house. for any recommendation made in respect of life policies, the number of dependants of the client and the extent and duration of financial support required for each of the dependants. any inaccurate or incomplete information provided by the client may affect the suitability of the recommendation. 45. Under section 58(5) of the Act, any person who contravenes any requirement specified in a written direction issued by the Authority (which would include this Notice), shall be guilty of an offence and shall be liable on conviction to a fine not exceeding $25,000 and, in the case of a continuing offence, to a further fine not exceeding $2,500 for every day or part thereof during which the offence continues after conviction. What kind of financial planning clients do you ‘prefer’? In terms of clients’ residency, I prefer to work in cases which the clients are Singapore citizens or Permanent Residents. For PRs, they should not be tax resident of the United States of America. Clients’ age: The minimum age is 21 years old. This is the common-law requirement for any individual to enter into contract. Financial planning service is a contractual service. I do not accept cases from those with questionable mental capacity to enter into contract. I prefer to work with clients who speak and understand verbal and written English. The scope of services that I provide are: Cash flow, budgeting, credit management, retirement planning, investments planning, children’s education planning, insurance planning and Estate Planning. Estate planning is only offered to non-Muslims and those domicile in commonwealth countries. Comprehensive Financial Planning for families with young children. Basic financial planning for new graduates who will be getting married in few years. Retirement Planning for those who would be retiring in less than 5 years. Estate Planning for Special Needs Persons. Length of work: I prefer to work with clients for the long-term rather than one-off. Since most financial objectives cannot be achieved overnight, a ‘long-term’ professional relationship means the opportunity to help them meet their financial objectives which consists of regular meetings and reviews. That is why I generally do not accept one-time transaction such generating quotations and selling an insurance product or writing a will without any opportunity for a long-term professional relationship. Net worth of the clients: I do not impose any requirement on net worth. However, those who are financially challenged are required to get a sponsor. I will bill my fees to the sponsor. Cash flow of clients: If they are working personnel, their cash flow should be positive before they engage me unless the main objective of the work is to help them achieve positive cash flow. For such a case, they will be required to get a sponsor and I will bill my fees to the sponsor. Negative cash flow due to transitory reasons (such as change of career) is not an issue. Minimum investment: I do not impose any minimum investment. However, there are product and platform minimums which are not within my control. Complexity of cases: There are times which the scope of work is so difficult that I will not accept it. I do not accept cases which I foresee the work to exceed 30 hours. Examples of complex cases I have accepted and done are: Divorcees, special needs (down syndrome, autism etc), lesbian, debt restructuring for ex-gamblers, asset protection for business owners, etc. Level of organization: I do not accept cases which the client is too disorganized. Clients must be well organized and know where they keep their ‘stuff’. Family participation: For married personnel, both husband and wife should participate in the entire financial planning process. If there are personal reasons why this is not possible, I will still accept the case on a case-by-case basis. Communications: Clients should generally be familiar with commonly used technology such as SMS, Email, Whatsapp and Internet Banking. I expect clients to read their emails regularly as I sent important communications through email. Those who are electronically challenged may find difficulty engaging my services because there are increasingly more and more financial planning related transactions that are done electronically. Charter Recognition Ceremony – 8th December 2011.Wilfred Ling (right) receiving the CFA charter from Mr. Daniel Schaefer, President of CFA Singapore. To earn the CFA® charter, candidates must already hold a bachelor’s degree, sequentially pass three six-hour exams that are widely considered to be among the most rigorous in the investment profession. The exam is a three-level exam covering topics including Ethical and Professional Standards, Quantitative Methods, Economics, Financial Reporting and Analysis, Corporate Finance, Investment Tools, Asset Classes, and Portfolio Management and Wealth Planning. Each level imparts a particular skill set: Level I is focused on investment tools and the foundations of the business, giving candidates the necessary knowledge and comprehension; Level II is focused on asset classes including equity investments, fixed income, derivatives, and alternative investments, emphasizing candidates’ ability in application and analysis; and Level III is focused on portfolio management and wealth planning, requiring candidates to be competent in synthesis and evaluation while making investment decisions. CFA Institute has administered well over a million exams since the inauguration of the CFA Program in 1963. “Savvy” clients who would like to have a second opinion on their own investment trades or would like someone to provide them with an unbiased market views can also benefit from this retainer service. I prefer to be transparent in my fees rather than embed these into products. Similar to the Initial Planning stage, the Retainer Service does not require clients to purchase any products from me. Is the Retainer Service really necessary? The Retainer Service is only applicable if the client has already done Initial Planning. Retainer Service cannot be offered to those who did not have their Initial Planning done. After the Initial Planning is done, the outcome of the Initial Planning shall determine whether will there be any on-going advice required. Clients are encouraged to sign up for the Retainer Service if there will be on-going advice. If you are looking for retirement planning, I may be able to provide consultation service over the Internet. Contact me for details. The following paragraphs are for those who wish to purchase investment products through me. I may accept foreign clients’ investments subject to conditions such as nationality, residency, tax position, source of wealth, source of funds, scope of advice and the ability to provide the required documentation. I may accept cases from those who are citizens or residing in Singapore, Indonesia, Thailand, Malaysia, Philippines, China (mainland), Hong Kong, Macau, Taiwan and United Kingdom. I cannot advice you on any tax consequences of your investments. You have to source for your own tax consultant. If you are a US tax payer, I cannot accept your case regardless of your nationality and residency status. If you are an employee, you are required to provide proof of employment such as salary slips and income tax statements for the last 3 years. If you are a business owner or self-employed, you are required to provide an audited financial reports of your company for the last 3 years. The auditor must be from one of the ‘Big Four’ namely PwC, Deloitte, Ernest & Young and KPMG. You are required to provide proof of income tax returns for the last 3 years of your company. The bank account must be in your own name and you are the beneficiary owner of this money. The scope of advice is restricted to investments and retirement planning only. Moreover, only Singapore registered investment products will be recommended. As all transaction has to be done in Singapore, you are required to fly in to Singapore and provide proof of entry such as air ticket and stamped passport. Original documents are required to be produced. Latest salary slip (for employees). 3 years of company income tax statements for business owners. 3 years of income tax statements for working personnel. 3 years’ worth of monthly bank account statements. The money for investments must originate from this bank account. Proof of address: Documents that are acceptable are: letter issued by government or utility bill. These documents must be less than 3 months old. Proof of identity: National ID, passport or social security. Original is required. We will return the original to you after making a copy. Full disclosure of your assets and liabilities using a spreadsheet template which will be provided to you. Glad to have stumbled upon this blog. I am glad that someone in Singapore has actually moved toward fee-based financial advising, despite the entire industry’s rejecting this part of FAIR review which will benefit us, the general consumers most. Yes, I moved to a fee-based model for a number of years already. There are actually a few of us in the industry providing fee-based financial planning. The numbers were already very few to begin with. In recent years, it has become even fewer when one firm which provided fee-based service closed down. I’m pleasantly surprised to receive your quick reply! Yes, read about your candid sharing on Ipac, and how it is both a good and bad news for you. I’ve learned a great deal reading your blog (I should be working now instead of reading this!). Keep up your great work here. Looking forward to hearing you in person. I am glad you benefited from this blog. Remember to sign up for my mailing list to receive relevant articles on financial planning. The sign up page is at the top right under the heading “GET REGULAR TIPS ON FINANCIAL PLANNING”. I am thinking of mid-career switch from industry sales into financial consultant which is consultative sales. What do i need to prepare or consider? You need to understand the market condition of the industry before joining. So some thorough research is required. Most newbies jump into the financial industry without this proper research and they got themselves disappointed. The industry is very sales driven. Personally I think property agents is probably more well respected compared to a financial adviser. Unless you have some unique skills which you can differentiate yourself, it is not likely you can provide a consultancy service in finance. Likely you will end up in sales. Ending up doing sales as a financial adviser is not a bad thing but this is not an improvement from your current occupation in industry sales. What should i do if i want to achieve your level?